The Jesse Tree by Geraldine McCaughrean is such a wonderful resource for using during Advent and while working through the stories of the Jesse Tree. It is written to grab the interest of children! It is about a carpenter who is carving the Jesse Tree figures for the church. A young boy comes asking questions each day, to which, the carpenter tells the stories behind each carving he is creating. There are a couple of downfalls to the book, though. One is that there are no Scripture passages to go along with the stories. I was, however, able to locate the stories and link them to the Scriptures so that problem has been solved! (I plan to send out a chart next year after Thanksgiving with the resources and Scripture passages I’ll be using, so keep an eye out for that next year!) And, the other downfall is that the carvings don’t go along with other Jesse Tree ornaments or studies that I’ve also used. So, I have ended up mixing and matching my favorite resources and making it work for our Jesse Tree. In spite of these downfalls, I absolutely love this book and plan to use it each year! It is so engaging and enjoyable to read and the stories come to life. It is definitely a top pick for the advent season! Another favorite is found at this blog: 1+1+1=1 There, you can find an e-book on the Jesse Tree, and printable ornaments to go along with the devotions each day. This goes fairly well with The Jesse Tree book, but I will warn you that this ebook devotional covers 31 days, rather than just the 25 that most do. I just used the ones that went best along with The Jesse Tree book and weeded out the rest. I do love that lots of Scripture is used, but the devotions are rather short and colorful. The ornaments are also colorful! I like that all you have to do is print, cut, and laminate! If you like to have a calendar to go along with your advent season, you can make one up and place the ornaments in each slot and work through them once a day. We did this one year, but because of the way I made my calendar out of paper envelopes, they easily tore and it was more of a pain that it was good, so this past year we ditched the calendar, and just keep the ornaments in a safe place without it. Then, this year I found out about Unwrapping the Greatest Gift by Ann Voskamp. It is a family devotional that has beautiful artwork throughout. The stories are kind of flowery, but it does include wonderful thoughts about God’s love for us, and that love is weaved through each story/devotional. I was also able to print out some ornaments that go right along with the book that I colored and shrunk down to fit our Jesse Tree. This could be a great activity for kids, or a crafty one for the adults. It did seem to take forever to color all of the ornaments, though, as they are each very intricate. I’ve heard about all sorts of ornaments that go along with this that others have made that you can purchase from etsy or on the web, so if you’re not crafty, you could opt to do that. Below is a sample of what one of the ornaments looks like. I am still researching about the Jesse Tree as this is only the second year I’ve learned about it. I hope to add to my list of favorites each year we do it, and the more I learn about what all is available. Another favorite resource for the Advent season is The ADVENTure of Christmas by Lisa Whelchel. This is such a fun book! It has stories, activities, traditions to create, crafts, recipes, etc. throughout! We have several favorites that we’ve made traditions through this book. One of our favorites, that my kids beg for each year, is the red and green candied popcorn! Lots of great things! The best part about this book is that I was able to get it personally signed by Lisa Whelchel! The only book signing I’ve ever been able to be a part of! She’s a lovely lady! Then, last, but not least, is the Christmas Angel. I began hearing a lot about The Elf on the Shelf a few years ago and was very intrigued by it, however, not long after, I heard of The Christmas Angel. I liked the idea behind the angel so much better. The focus wasn’t mischief and laughter, but love and service. 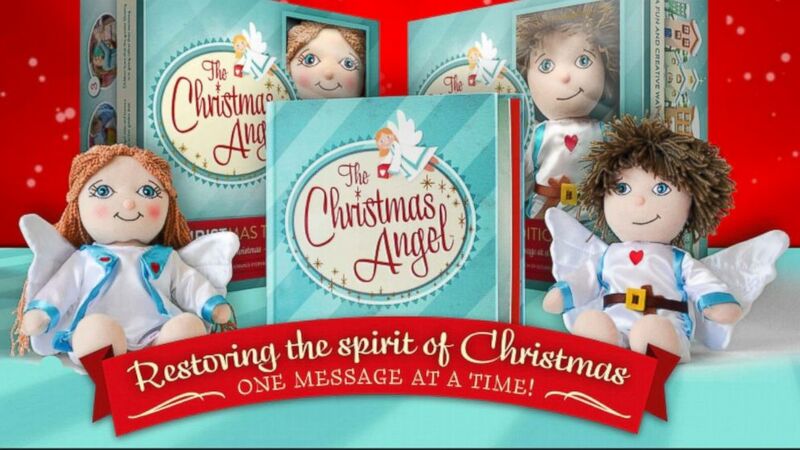 The Christmas Angel is a way to give back, to show my children that Christmas isn’t just about getting, but giving. It shows them the joy in giving, and gives them a heart of service. 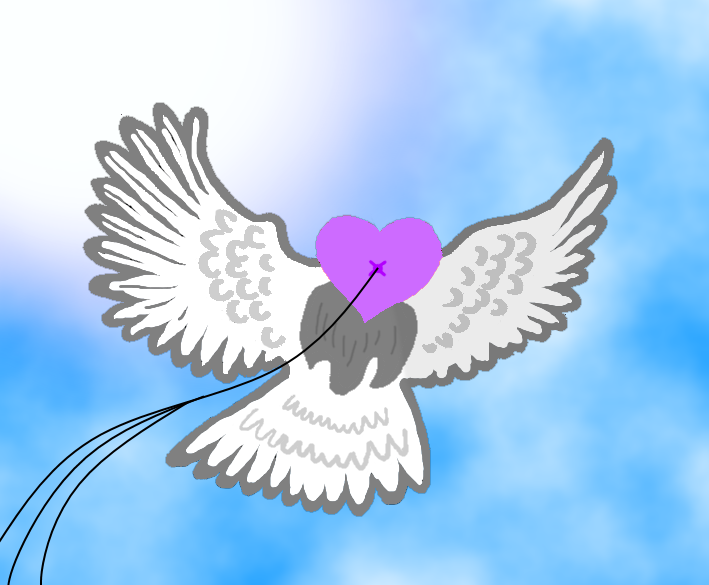 The idea is that the Angel leaves messages of service ideas each day for them to do. The website even has several calendars of ideas if you struggle to come up with ideas on your own. I found the ideas very helpful in jump starting ideas of my own. I highly recommend using this Christmas Angel, or finding another way to serve during the Christmas season. Taking the focus off of oneself, and shining the light of Jesus to others! Isn’t that really a HUGE part of the season? I think so! It’s a representation of the greatest gift of all, the gift of Jesus coming to the earth and walking among us, to live an example before us, and then ultimately to die for our sins, so that someday we could live with Him for eternity. Even if those we touch get a glimpse of this, how wonderful and powerful it would be! I hope this gives you a start to some of our favorite resources for the Christmas season. May the Lord use them in the same ways He’s used them in our family! I would also LOVE to hear what resources you’ve used and enjoyed so that I can add to my favorites! Please share in the comments! This Christmas, I am planning on incorporating The Jesse Tree, Unwrapping the Greatest Gift, The Christmas Angel, and The ADVENTures of Christmas all into our Christmas season. For the Jesse Tree, we will be reading a devotional story each day, along with Scripture, from Unwrapping the Greatest Gift then adding an ornament to our Jesse Christmas Tree. We will also read The Jesse Tree each day. The Jesse Tree is a living book with a story about an older man who is carving ornaments in a church. A young boy has lots of questions about what he’s carving and why, and the story of the Jesse Tree and the story of Jesus is wound into it. It doesn’t have Scriptures, though, that is why I have added Unwrapping the Greatest Gift to go along with it. The Christmas Angel will be visiting us daily with fun service projects we can do, and family activities. And, I’m pulling several things from The ADVENTure of Christmas. Fun things to do as a family, with teachable moments about the traditions of our Christmas season. I’m hoping to make Christ the central part of our Christmas this year. We’ve done each of these in part in the past, and each were so much fun. I think combining them will add a new dimension of fun, focus, and service to our season. Below is a calendar of our December and what I plan to do each day. Take what you like and use as you wish!